Comments: Purple-red strap-like leaves have a layered appearance. Red colors throughout the summer turning vivid crimson in the fall. 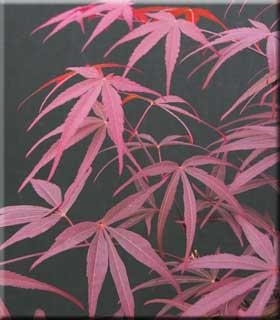 'Beni otake' translates to mean "big red bamboo". NOTE: The large plants are too big for our standard boxes. Freight shipping or nursery pickup only. Inquire.